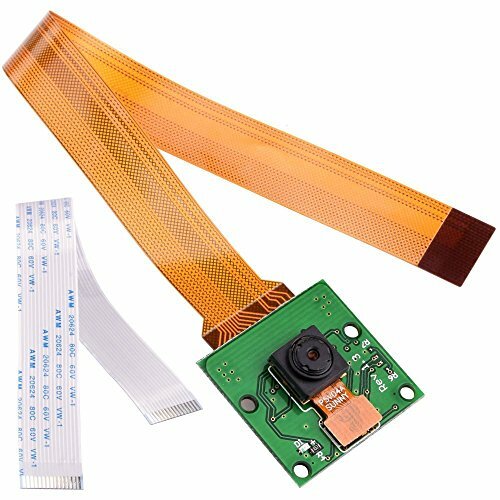 The InsReve Camera Module is a custom designed add-on for Raspberry Pi. It attaches to Raspberry Pi by way of one of the two small sockets on the board upper surface. This interface uses the dedicated CSI interface, which was designed especially for interfacing to cameras. The CSI bus is capable of extremely high data rates, and it exclusively carries pixel data. Raspberry Pi is NOT INCLUDED. Raspberry Pi and Raspberry pi zero are NOT included. If you have any questions about this product by InsReve, contact us by completing and submitting the form below. If you are looking for a specif part number, please include it with your message.